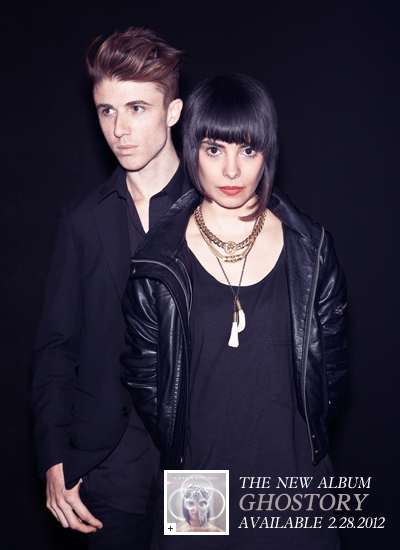 The Stark Online: New School of Seven Bells Track - "The Night"
New School of Seven Bells Track - "The Night"
The new album from School of Seven Bells, Ghostory, is due on 2/28/12 via Vagrant Records. We can't say enough of about the pure talent of this group; they make a indie-genre of their own with amazing melodies, great vocal harmonies and electro-samples/beats that never sound stale. From Alpinisms in 2009, to Disconnect from Desire in 2010, School of Seven Bells have been top contenders on every end-of-year Best of List. Their newest single, "The Night" was first heard through Stark ears live at Cameo a few months ago; talk about an ear-worm, we recognized it again immediately. Looking forward to this release folks. Big time.